Russia is quite a different experience for me. The color of buildings, the gregariousness of the people, the rushing, the waiting, and the massive traffic jams—all these things make up the city that Muscovites inhabit. 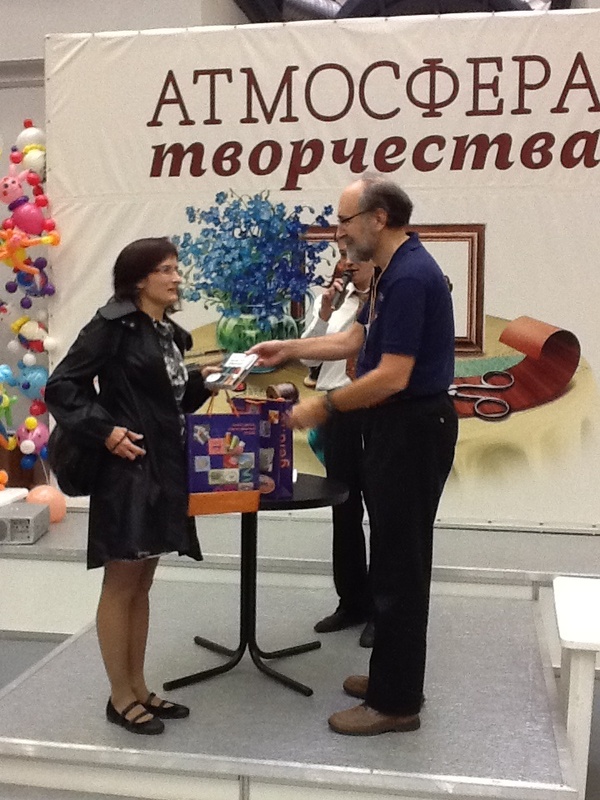 I just returned from a teaching trip to Moscow, and the days were as busy as the city itself. On my final day in this cosmopolitan center, I spent 5 hours walking through the central city along the rings that make up the traffic circles. How shall I describe it? "Too many cars, park where you can, and traffic traffic traffic." I saw the statues celebrating authors, playwrights and generals. Remnants of the USSR are everywhere with the hammer and sickle on building and in the subways. Little stores are found in passageways under the streets and down dark staircases. There are many farmers' markets vending fresh fish, meats, honey and vegetables. The smells of roasting food, fast food and sweets are everywhere. Foods are my hobby, and eating in Russia for me was a foodie paradise. I had a very special herring dish, described as "Under the Fur Coat - chopped herring covered with beets and chilled." I enjoyed salmon shashlik with fries, current/cranberry pie, pickles and more pickles and of course, what every russian consumes, Vodka. This Vodka was cloudy and flavored with horseradish juice. I found it to be spicy hot in flavor and quite tasty during and after the many toasts to health, business, families, our pets and anything else that came to mind. We accompanied this with glasses of raspberry juice and mead. I enjoyed the salmon soup, the chicken noodle and the Russian traditional soups. I do not eat beef , so i did not have the borscht. Honey was abundant this time of year as well as a variety of teas (chi) and lots of espresso. Traveling to the consumer craft show, we rode by car. A 35-minute ride took three hours down and two hours back. Since traveling overseas can be quite exhausting, the car ride was a great way to catch up on sleep. The last day, however, i rode the subway and the train, which proved to be a better way to travel in this city. The consumer show had crafts from all over the country, from traditional embroideries, crochet and pieced quilts to stitched and beaded icons, large origami designs, jewelry, sewing, felting, doll making, and of course decoupage. The most amazing products were racks of decorative paper napkins. These are purchased as inexpensive designs for decoupage. The crochet was made from very bright colors. There were felted bags, hats and lots of slippers. And of course there were food vendors selling traditional pierogi in the shapes of rabbits, pigs and fish. I taught two master classes, the second being a sell-out. Even though I spoke no Russian except Dah and Nyet we all understood each other, including a few jokes which I slipped in on Anton, my interpreter. 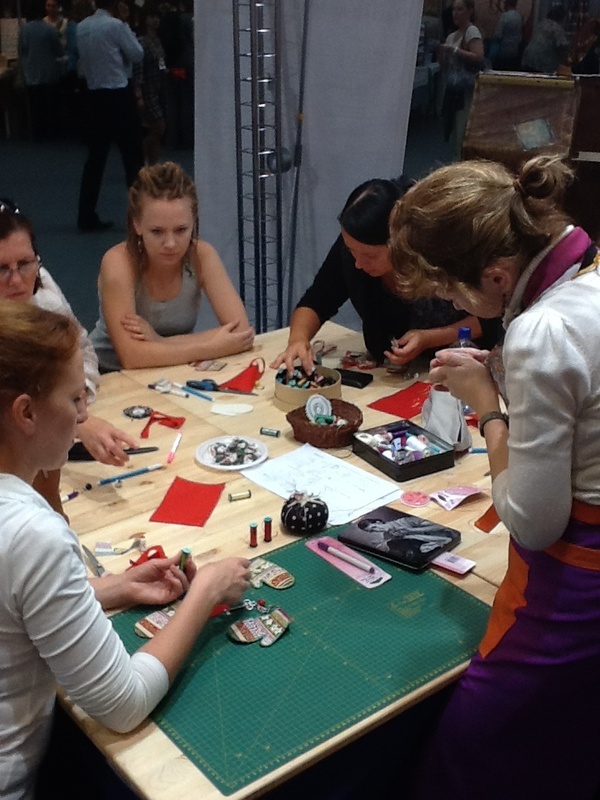 I introduced many ideas in stitchery that we have used and taught in the US for years. They were a great, patient audience. I am looking forward to returning. First though, I want to learn the Russian alphabet. Doug Kreinik is the son of company founders Jerry and Estelle Kreinik. He now owns the business and truly lives every day to share his family's passion about creativity, textiles, design, and thread-making. He has traveled the world showing people not only how to make things with thread, but how to imagine projects transformed into personal expressions with color, texture, and dimension. He created the company motto, "Threads visualize thoughts," and loves seeing how people express their creativity through Kreinik thread. In his 'thread seminar,' he brings hundreds of needlework models covering all ranges, skill levels, and types so that stitchers and would-be stitchers can see the possibilities of using thread, stitches and fabric. In this seminar series, he also details the ins-and-outs of thread manufacturing, adding his own personal stories that will make you laugh. We still get calls from previous seminar attendees who remember particular models or stories, and are still inspired by Doug's lectures. 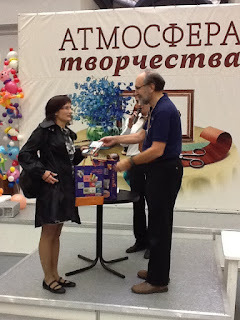 On a recent trip to Russia where he taught classes for Kreinik's distributor, Gela, the interpreter had to ask Doug to slow down because attendees were getting "emotional" - that is, so excited about the possibilities and what they could create with Kreinik threads, they needed more time to write things down and absorb the information. Doug is so energetic in person, making for lively and fun conversations. Doug loves talking with people and is a good listener, hearing their stories and sharing possibilities. 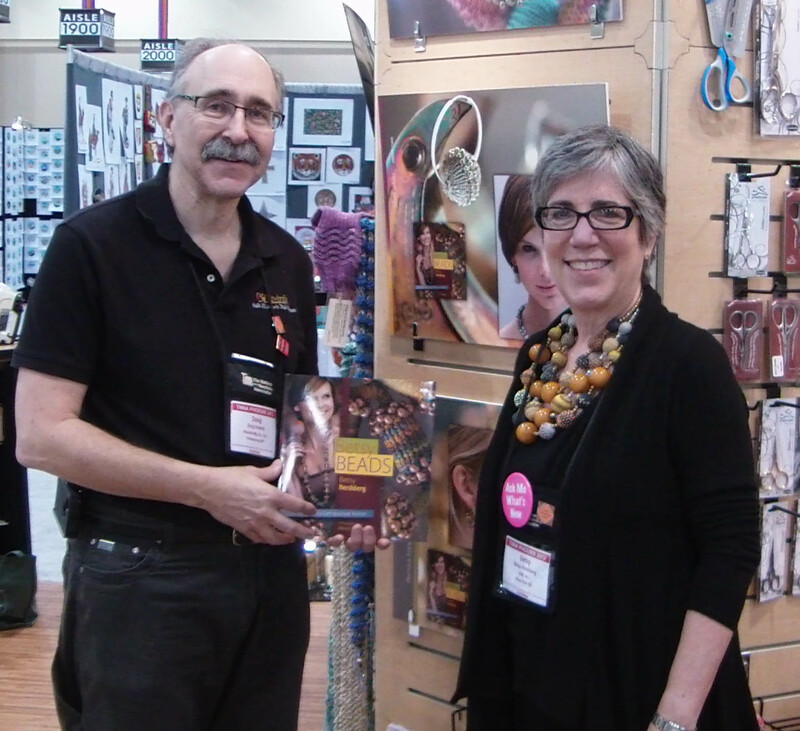 "Early in my career here at Kreinik," notes Creative Director Dena Lenham, "I attended a particular trade show with Doug. He was busy talking with customers while one shop owner stood in the aisle, looking our way, for a lengthy time. I repeatedly offered my assistance, saying, "Can I answer any questions...can I help you with anything...?" Finally she touched my arm re-assuredly and said, "No, honey, I just like to hear Doug talk." PS: It's his birthday next week too! We get these questions a lot. “Where can I find Balger?” (Pronounced Ball-Zhay) “Which Balger do I need to order?” Here is the Official Story behind that strange word associated with Kreinik threads. Unfortunately, it just confused people. “As we were going on,” Doug recounts, “people wanted to meet Mr. Balger. People were looking for Mr. Balger in Parkersburg.” In the early 1980s, a consultant brought in to help the home-based business grow into a thread factory suggested putting everything under the actual family name. As the thread sizes evolved, individual names for the threads became the standard, such as Very Fine #4 Braid and Tapestry #12 Braid, all under the Kreinik name. So, short story even shorter, Balger is Kreinik circa 1970s. 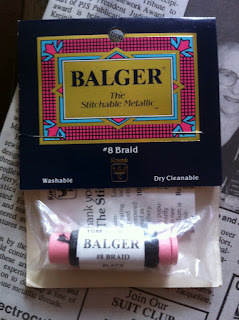 In fact, if a design or teacher refers to Kreinik as “Balger,” we can usually tell the age. Today, Kreinik is technically Balger, we just don't use that name as much anymore. 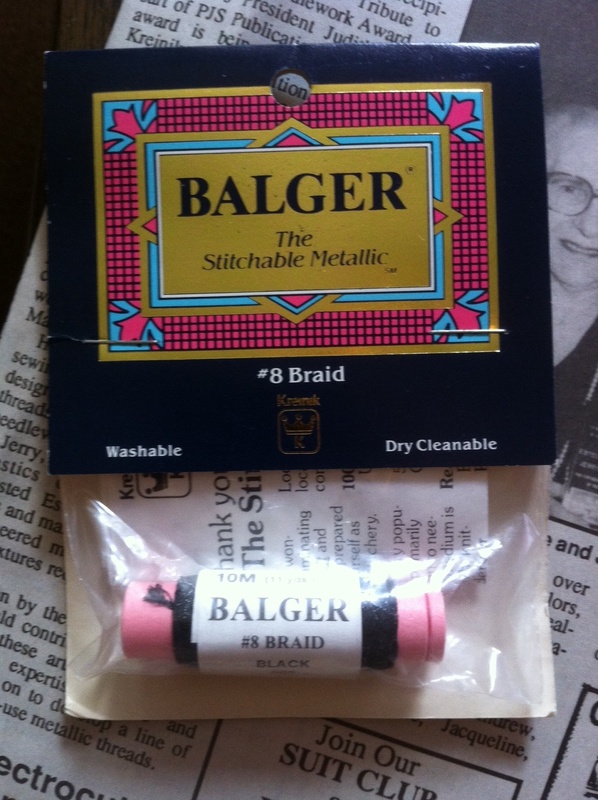 If you come across a chart calling for “Balger”, it probably means Kreinik Blending Filament or Kreinik Fine #8 Braid, which were the only two metallics we made back then.